Walter Hagen was a great golfer and an even more brilliant marketer. He was one of the first professional golfers to understand and exploit the power of the media for his sport. Hagen’s devil-may-care, high-living attitude fit perfectly his heyday in the Roaring Twenties. The fact that Sir Walter was also one of golf’s best players certainly didn’t hurt, either. Jimmy Demaret understood what Hagen was doing with his on- and off-course publicity efforts, and took to much the same behavior like a duck to water. In many respects Demaret became the next-generation Hagen. He maintained a perpetually sunny attitude while playing at the highest levels. He had a warm relationship with regular fans as well as many celebrities, such as Bob Hope and Bing Crosby. And, of course, today Demaret may be best remembered for his vibrant choices in golf fashion, going well beyond Hagen’s own notable style. Demaret was also one of those professional athletes that continually amaze those who only look at the surface. For all his apparent nonchalance, the Texan could flat out play. He won 31 PGA Tour victories when his competition included Hogan, Snead, Nelson, and many others now with Demaret in the Golf Hall of Fame. His three Masters wins put Demaret in rare company, among the very few to win several majors. His 6-0 record in the Ryder Cup is far better than most. Demaret also began where Hagen left off when it came to promoting golf and doing well for himself at the same time. He picked up dozens of endorsement contracts, leveraging his tour winnings into side businesses that paid far better than the modest Tour purses of the time. He also enjoyed great success as a broadcaster, especially during his years on Shell’s Wonderful World of Golf series. Along with Jack Burke, Jr., Demaret designed and built the Champions Golf course in Houston, and was one of the creators of what is now known as the Champions Tour. With all that Demaret accomplished during his life, one would think that a very good biography could be written about him. 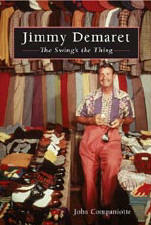 I must regretfully suggest that particular goal remains to be achieved, even after the publication of Jimmy Demaret: The Swing’s the Thing (Clock Tower Press, $24.95 SRP). It’s obvious that the author, John Companiotte, had good access to a wealth of materials. He interviewed several people who knew Demaret intimately. He quotes liberally from a wide range of contemporary publications in fleshing out the details of Demaret’s life. On the other hand, there’s just too much repetition of the same material. Within two pages, Companiotte repeats an anecdote about a double-date Demaret once had with Dave Marr’s father. The same story shows up again later in the book. There were other odd editing choices. The reader does not learn until the end of the book that Demaret’s family nickname was Newt, a contraction of his middle name. One would think that kind of detail would be mentioned in the beginning of the book. These aren’t mortal sins, of course. Nonetheless, these and other examples are simply jarring. I fully appreciate the hard work involved in compiling the information needed for a sports biography, and it’s clear that Companiotte did a good job in that respect. The photographs sprinkled throughout the book give an interesting glimpse of Demaret and his era. On the other hand, on far too many occasions the writing is workmanlike at best, and frankly dull elsewhere. This book could have been much better. It needed a good editor, ruthless with the red pen and willing to force several more rewrites to make the copy as lively as the subject. 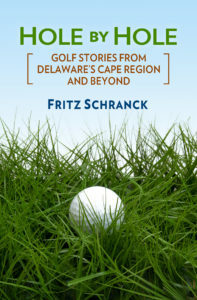 This book is valuable for its contribution to golf history. Unfortunately, however, it’s just not very well written.